Here are the defensive players who put up market share performances indicative of a potential All-Pro to Pro Bowl players since the 1989 NFL draft class. Terms for data are as follows. MS: Solo Tackle Market Share. Individual solo tackles divided by team total solo tackles. MSS: Sack Market Share. Individual sacks divided by team total sacks. MSTFL: TFL market share. Individual tackles for loss divided by team total TFL. MSINT: INT market share. Individual INTs divided by team total INTs. MSPD: Pass deflection market share. 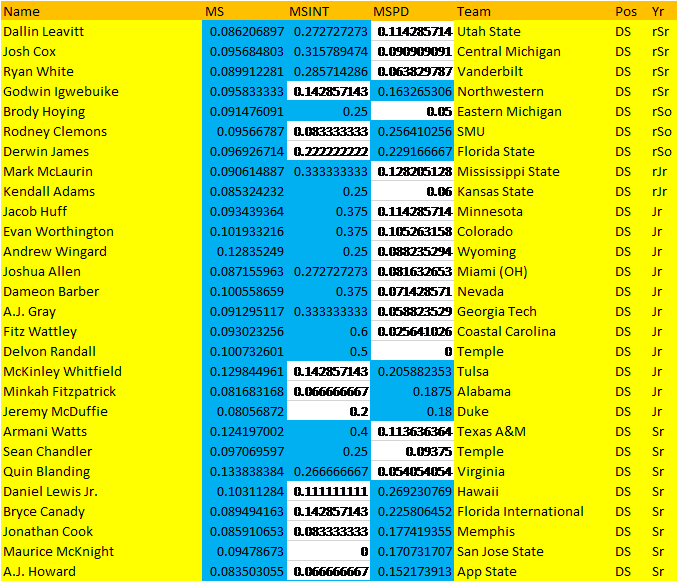 Individual pass deflections divided by team total PDs. With this out of the way, here are the players who stuck out the most in the 2017 regular FBS season on defense. 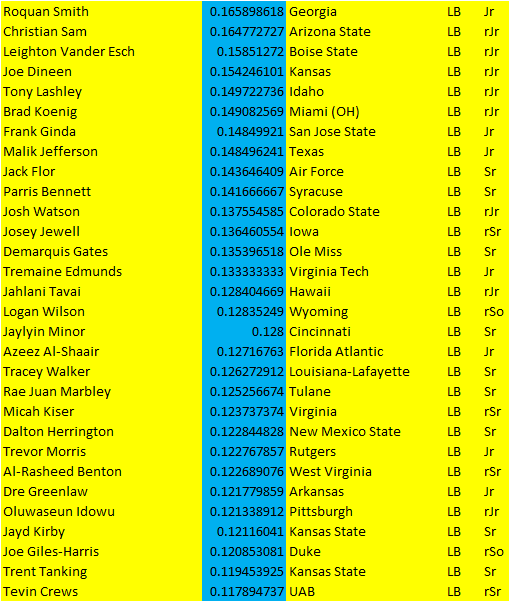 Remember, the players listed above are not guaranteed to become high quality or even successful NFL players. 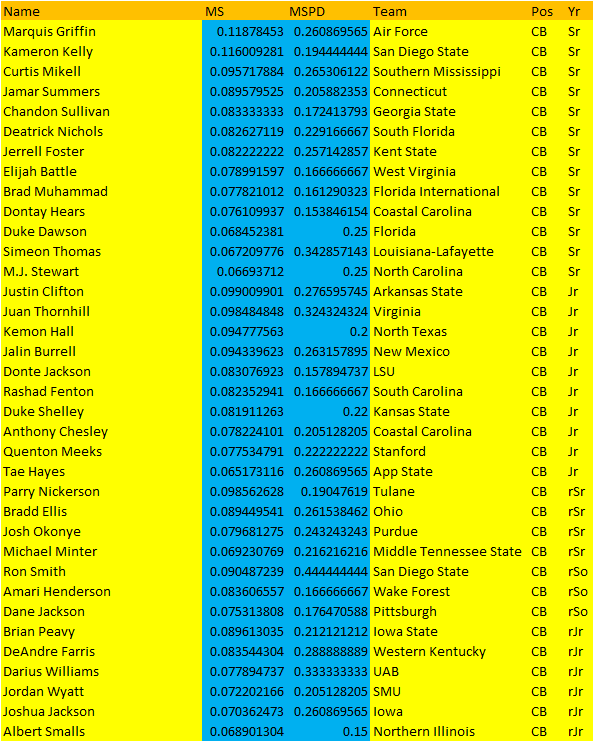 However, they all share the same data traits of high quality and successful NFL players over the last 20+ seasons. Use this information to give you some names of prospects you haven’t checked out yet. Or as another layer to an already strong resume for some of them too.